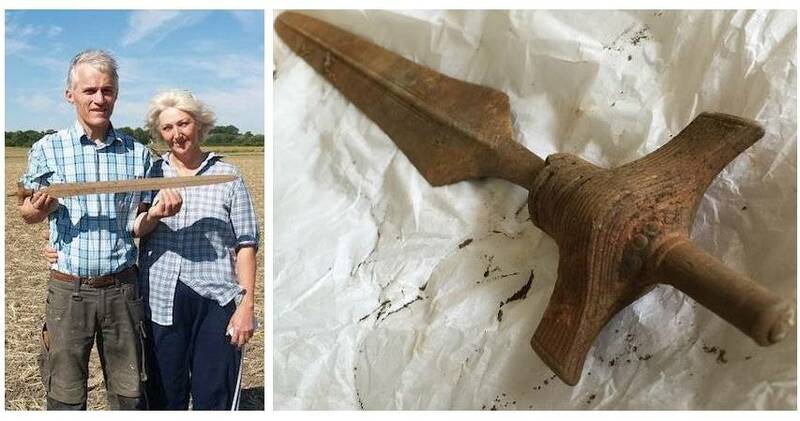 This ancient sword found on an island in Denmark is incredibly well-preserved despite being over 3,000 years old. Søren Kiehn/Museum VestsjællandMuseum inspector Arne Hedegaard Andersen holds the discovery. Two locals from Zealand, the largest island of Denmark, decided to take an evening stroll through a field in the small western town of Svebolle. The choice to take their metal detector along with them was a fortuitous one, as it would help them uncover a major find. After the machine alerted Ernst Christiansen and Lis Therkelsen to something below ground, the two amateur archaeologists started digging. Some 30 centimeters down, they hit what looked like the end of a sword. 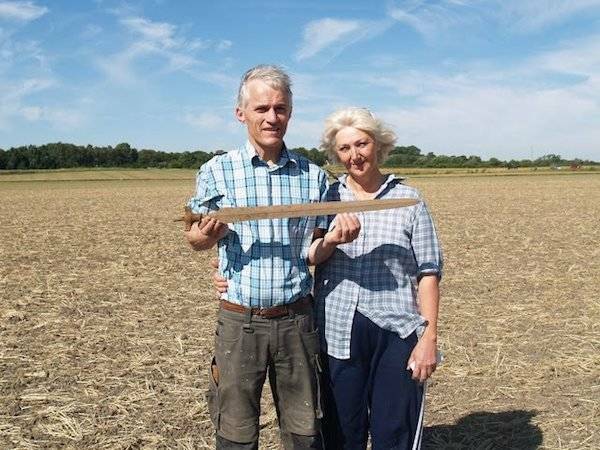 Christiansen and Therkelsen contacted Museum Vestsjælland — a group of 11 local museums that cover the archaeological excavation and conservation of regions in the area — who revealed that the discovery was a 3,000-year-old sword from the Nordic Bronze age. It was also a testament to the craftsmanship of the people in Scandinavia at the time. Museum VestsjællandThe visible decorations on the hilt of the sword. “The sword is so well-preserved that you can clearly see the fine details. And it is even sharp,” the museum wrote in a press release. Museum inspector Arne Hedegaard Andersen, who joined Christiansen and Therkelsen on the day following the discovery, reaffirmed how incredibly maintained the sword was. The Nordic Bronze Age, circa 1700-500 BC, was sandwiched between the Nordic Stone Age and the pre-Roman Iron Age. During this time period, bronze imported from Central Europe replaced previously popular materials like flint and stone. The impressively preserved bronze sword, which predates the Vikings by around 1,000 years, remained untouched since the Bronze Age. About 32 inches long and still fairly sharp, the museum believes that it dates to phase IV of the of the Bronze Age, or between 1100 and 900 BC. Though the leather that made up the sword’s grip had long rotted, the pommel and hilt show intricate bronze work, clearly decorated by skilled workers. The details suggest that it was an expensive piece of weaponry, likely used to indicate status rather than in actual battle. Additionally, warriors during this time tended to use clubs, spears, or axes for fighting purposes. Though the Scandinavian people joined the Bronze age through trade relatively late compared to other European nations, the local workmanship was of a higher standard. So although the religion, ethnicity, and language characteristics of the people during this time period is largely unknown, they left behind a rich archaeological legacy. Museum VestsjællandErnst Christiansen and Lise Therkildsen with the Bronze Age sword. One of the main ways we know about life in Scandinavia during the Bronze Age is through rock carvings called petroglyphs, which depict images of daily life, great events, and supernatural beliefs of the time. There have been several exciting archaeological discoveries in Denmark in recent years. In June 2016, a team of three archaeologists who call themselves Team Rainbow Power uncovered the largest-ever find of Viking gold. In October 2016, the discovery of a 5,000-year-old stone map shed light on ancient farming and topography. And in 2015, a trove of 2,000 mysterious looking gold spirals also from the Bronze Age were discovered on Zealand. 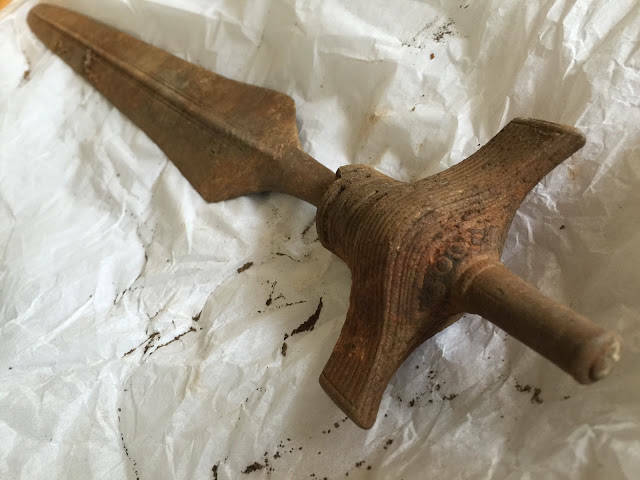 Next read about the preserved Medieval sword pulled out of a Polish swamp. 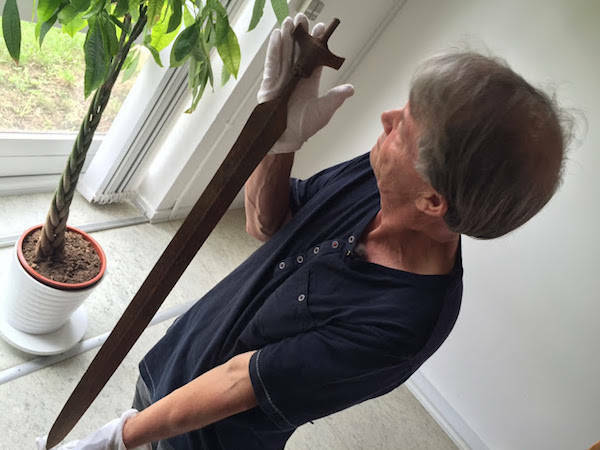 Then read about the 1,200-year-old Viking sword discovered on a Norwegian mountain.